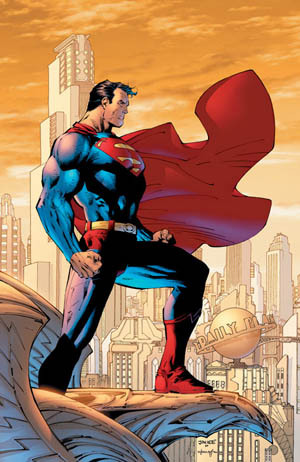 Just as Superman sometimes refers to his battle for justice as “the Never-Ending Battle,” I refer to my annual battle with the hordes of ants who seem to use my house as a summer vacation spot as my own personal never ending battle. My enemy: ants. Hordes of them. They infest my backyard, my home, and any other source of food they stumble upon. They number in the thousands, and their hive mind makes them as formidable as a well-programmed computer adversary. Physically obstruct one entry point? They will find another. Use poison? They will learn to take paths which are more difficult to attack. No matter how clean we try to keep the house, they seem to be drawn to anything that even remotely smells or tastes like food. Shampoo. Soap. Toothpaste. Wet/damp areas. They are so voracious that spiders that thought they could “profit” by positioning their webs near ant trails have disappeared within 1-2 days of appearing as the ants destroy even them. Whenever ants from the main European and Californian super-colonies and those from the largest colony in Japan came into contact, they acted as if they were old friends. The ants are ranked among the world’s 100 worst animal invaders. In its introduced range, the Argentine ant often displaces most or all native ants. This can, in turn, imperil other species in the ecosystem, such as native plants that depend on native ants for seed dispersal, or lizards that depend on native ants for food. For example, the recent severe decline in coastal horned lizards in southern California is closely tied to Argentine ants displacing native ant species on which the lizards feed. Argentine ants also cause problems in agricultural areas by protecting plant pests, such as aphids and scale insects, from predators and parasitoids. In return for this protection, the ants receive a sweet excretion, known as “honeydew”. Thus, when Argentine ants invade an agricultural area, the population densities of these plant parasites increase, and so too does the damage they cause to crops. Argentine ant colonies almost invariably have many reproductive queens, as many as eight for every 1,000 workers, so eliminating a single queen does not stop the colony’s ability to breed. When they invade a kitchen, it is not uncommon to see two or three queens foraging along with the workers.